For the first time since the SNC-Lavalin controversy erupted, Prime Minister Justin Trudeau put forward his account today of what happened during a meeting between himself, former justice minister and attorney general of Canada​ Jody Wilson-Raybould and Michael Wernick. Wilson-Raybould gave her version of the Sept. 17 meeting when she appeared before a House of Commons committee last month, saying she had requested the one-on-one meeting with Trudeau a couple of weeks earlier. In his press conference today, Trudeau said that only about five minutes of that 30- to 45-minute meeting went to discussing SNC-Lavalin, with the rest of the time used to talk about progress on reconciliation and Indigenous rights. All three people present for the meeting have agreed that the issue of whether to grant SNC-Lavalin a deferred prosecution agreement (DPA) — a deal that would allow the company to avoid prosecution providing it met a number of conditions — was discussed. During that discussion, Wilson-Raybould said, Trudeau asked her to “help out” in finding a solution for the company that would involve revisiting the decision by the director of public prosecutions to send the company to trial. “I told him that I had done my due diligence and had made up my mind on SNC and that I was not going to interfere with the decision of the director,” she said. The prime minister repeated his concerns, she said, and she responded by telling him she had considered the matter very closely and that she was not prepared to issue what she saw as an inappropriate directive to the director of public prosecutions. “The prime minister again cited the potential loss of jobs and SNC moving. Then, to my surprise, the clerk started to make the case for the need for a DPA. He said, ‘There is a board meeting on Thursday, Sept. 20, with stockholders. They will likely be moving to London if this happens and there is an election in Quebec soon,'” she testified. At that point, she said, the prime minister ‘jumped in,’ reminding her that he was the MP for Papineau. Trudeau acknowledged Thursday that he did remind Wilson-Raybould that he represents a riding in Quebec, where SNC-Lavalin is based — but insisted he was not pressuring her to further partisan interests. “I said to her that I was preoccupied by the number of jobs involved in in this, in Quebec and obviously across the country. This is something that I was clear on,” Trudeau said. According to Wilson-Raybould’s account of the meeting, Trudeau again cited the potential loss of jobs before Wernick started to make the case than a DPA was needed. During Wernick’s visit to the committee on Wednesday, he took issue with Wilson-Raybould’s account of how the meeting unfolded, saying that he did not advocate for a DPA but rather tried to make the former attorney aware of the context surrounding the prosecution of SNC-Lavalin. Wernick also said that when he mentioned the Quebec election, he did not do so from a partisan political perspective. “That is an unfair inference,” Wernick said. “It is a long-standing convention for the federal government to stay out of the fray of provincial election campaigns. In mid-September, based on the company’s public disclosure obligations, I was concerned that a purely federal issue could surface in the last two weeks of that campaign. It’s my job to remind elected officials about those conventions. Wernick’s testimony — that Trudeau assured Wilson-Raybould that she retained the final call on the prosecution — was first acknowledged by the former attorney general during her committee appearance. She said that when Trudeau asked her to revisit the decision, she asked him if he was politically interfering in her role as attorney general. 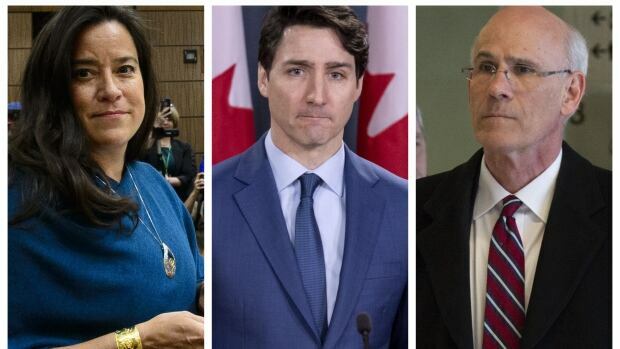 While all three people at the meeting agreed that Trudeau did not direct Wilson-Raybould to reverse the director of public prosecution’s decision to take SNC-Lavalin to trial, he did ask her to rethink it. “I asked her if she could revisit that decision, if she was open to … looking at it once again. And she said that she would,” Trudeau said. Wilson-Raybould told the committee that her staff are not authorized to speak to the Director of Public Prosecutions but she told the PM would go over the issue once more with her department. “As a result, I agreed to, and undertook to the prime minister that I would have a conversation with my deputy and the clerk, but that these conversations would not change my mind,” Wilson-Raybould testified.